The story sounds like it is largely about art and the creation of Delft Blue. However, Catrin's personal life plays a very important role in the book, sometimes overshadowing the slightly boring details of art. 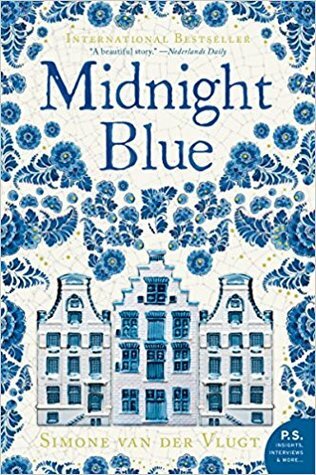 van der Vlught demonstrates so many critical aspects of historical Holland, from devastating medical ailments to women's societal status. Catrin watches as her surroundings shift with each epidemic of the plague, as more women around her are haunted with miscarriages, as women work to support their husbands. The author did an excellent job of balancing the artistic details with the elements of the story that pertained only to the fictional characters she created. The two tales weaved together fabulously, accented with details of Dutch life that I'd never have thought about. At one point (while reading), I actually forgot that the book was based on pottery! I don't think I could've enjoyed book on art more than I enjoyed this one. The character development is quite interesting as well, with Catrin changing with every death, still born and travesty near her. However, it isn't the typical development one expects, where a character takes on the "what doesn't kill you makes you stronger" attitude. Catrin's development can be witnessed through the changes in her prayers and confessions to the Lord. While this isn't a thriller that you just can't put down, it's definitely a book you should pick up this summer. It has a certain "finish me soon" quality that I can't quite put my finger on, and it really makes for an interesting read. Having never been to the Netherlands, or studied about it, this book was my first insight into this country. I look forward to learning more about modern-day Amsterdam, but I enjoyed starting somewhere in the middle, with Renaissance Holland.